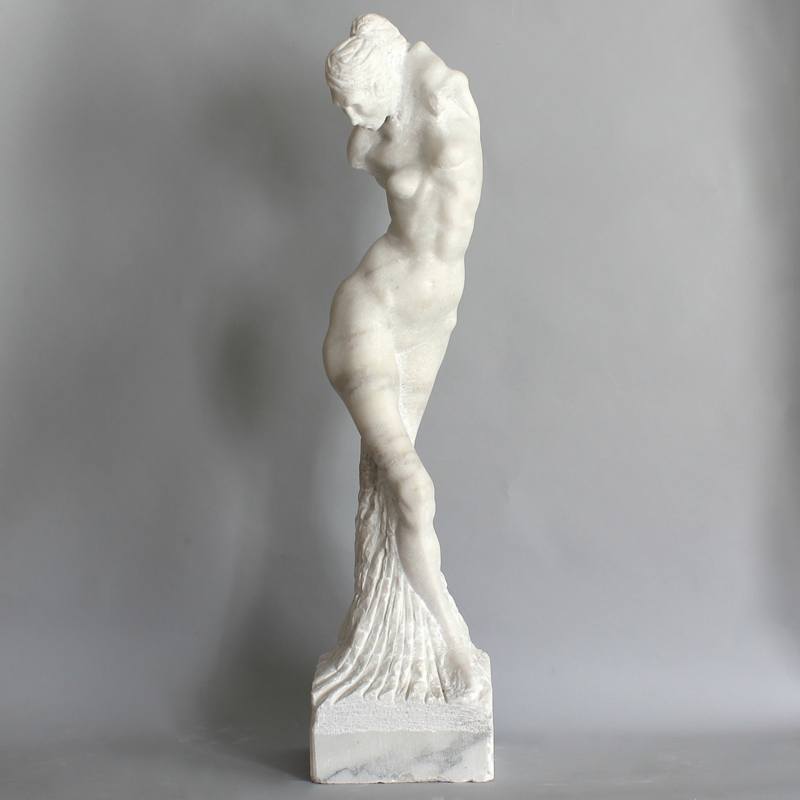 Alex Rane is a sculptor working in the mediums of bronze, clay, and his main focus marble. He graduated with a BFA in sculpture from the Lyme Academy College of Fine Arts where he studied anatomy and the figure. 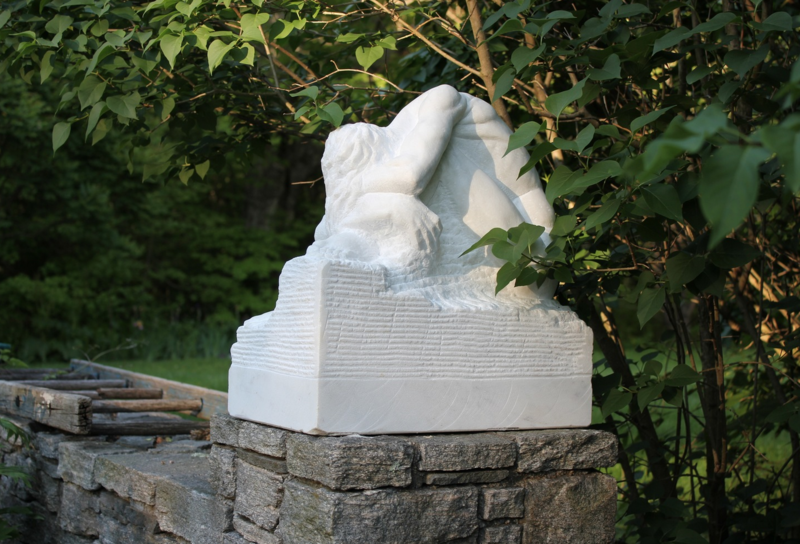 Upon graduating, Rane shifted his focus to figurative sculpture with an emphasis on marble. He was selected to compete in the National Sculpture Society Competition as well as the LDS International Art Competition–where he received the People’s Choice award for his bronze figure of John the Baptist (below). Rane feels that carving with marble has allowed him to find a voice he was not able to express through any other medium. Rane and his wife currently live in New York City and will be leaving later this year for Italy. Where did you grow up? 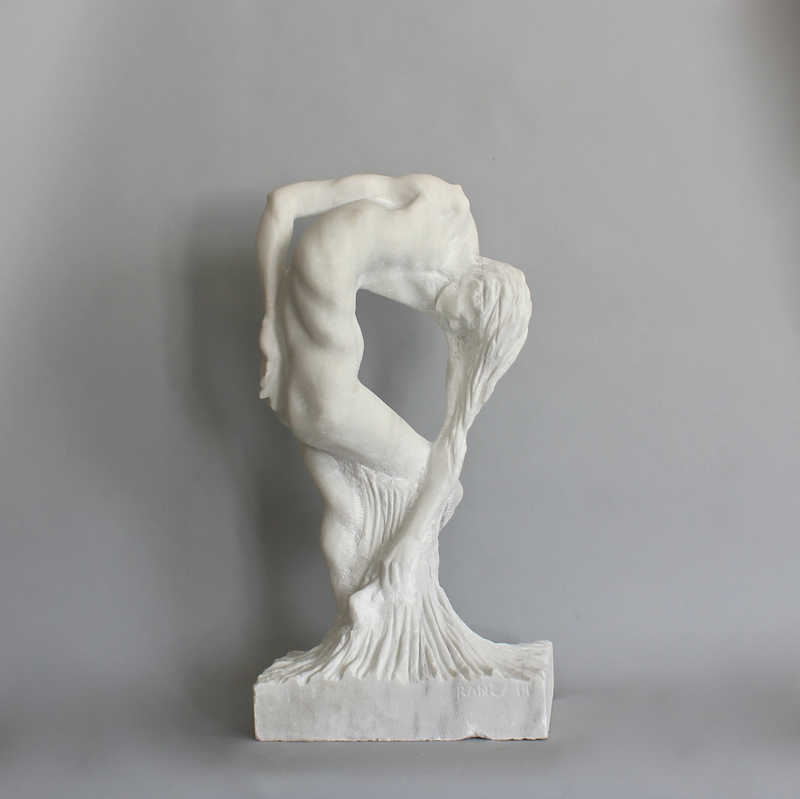 How did you get started in sculpture? 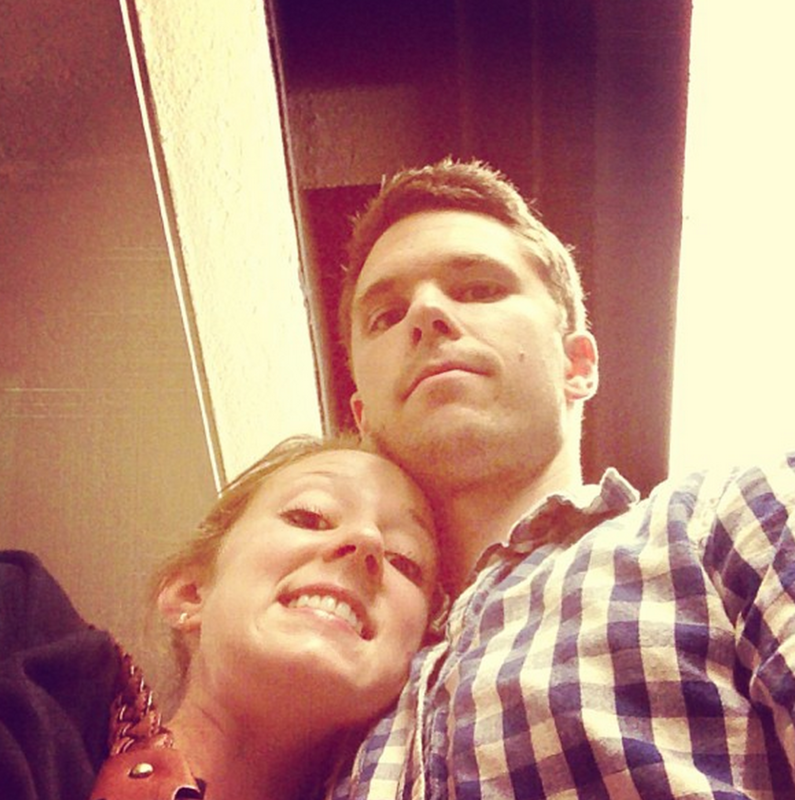 I primarily grew up in Oregon, which is where I met my wife. I’ve always had a strong connection to New York though as I was born here and would make frequent trips with my family growing up. My dad is a painter and so we would always stay connected to the culture that New York had to offer. But my interest in sculpture didn’t begin until college when I went on a study abroad to Italy and saw the great Michelangelo sculptures for myself. Up to that point, I had only thought of art as painting. You worked as a property handler at Sotheby’s. What did you learn? I started working at Sothebys shortly after graduating from College. My College training was fantastic at Lyme Academy College of fine Arts, But it was very traditional. Everything was about anatomy and representing the figure in a classical way. That’s exactly what I was looking for in a college. I wasn’t exposed to the contemporary art world until I moved to New York and started working at Sotheby’s. This was great for me, but at the same time I have also been witness to a side of the art world that as an artist I think I would rather be ignorant to. The business side has much less to do with art as it does with money and prestige. What’s your best Sotheby’s story? When I first started working at Sotheby’s I remember un-framing a Degas charcoal drawing and pulling the glass away from the front and just thinking it was the coolest thing ever. After that, even moving around a $50 million Warhol is not that exciting. 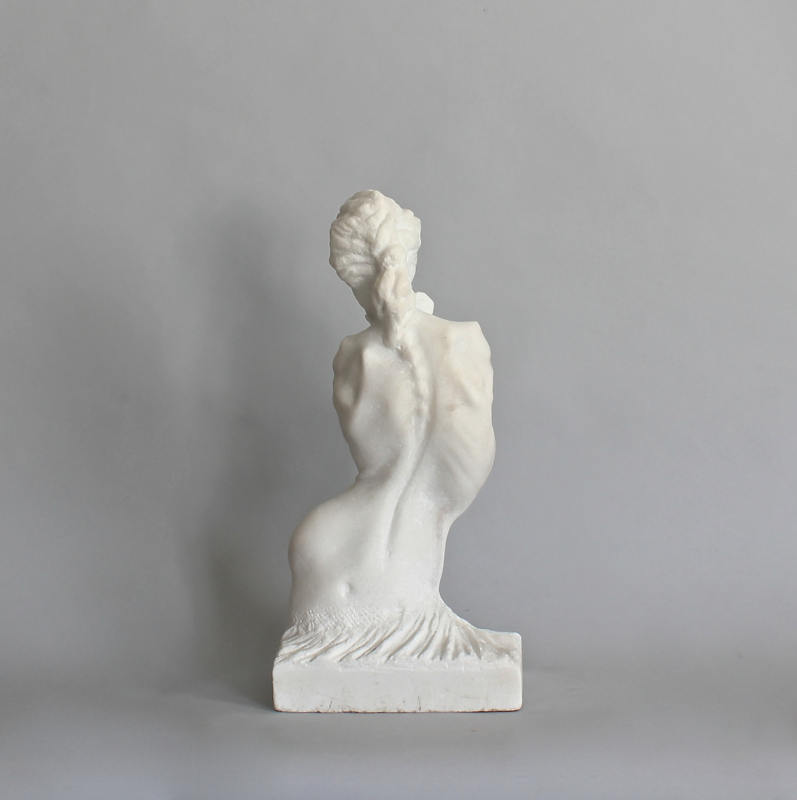 You went out on your own as a figurative sculptor in 2012. Describe your experience. Starting your career as an artist is by far the hardest part. There is no time for a learning curve. You have to experiment, and find your voice and make money but not do anything to damage your career. There is no one there to tell you what your next step should be. What I’ve found to be the most important thing is to be patient and take it slow. When you get out of school you want things to happen immediately. Fortunately, or unfortunately I was forced to take it slowly. I had no money after moving to New York, so like so many artist, I got a job as an art handler just to get by. As frustrating as it is to not be making art all the time, I actually think I’m better off for it. As my thoughts on art continue to develop, I would hate to feel like my art was trapped. Follow Alex Rane on Instagram.